Circus Casino will then reward you with a bonus (Welcome Bonus is for new players only). The terms and conditions of the bonuses vary between different casinos and might also change over time and between different countries, so it is important to compare the different offers and read the T&C for Circus Casino before signing up. Join the Circus for a unique online gaming experience delivered via universally popular casino games provided by industry’s best and completely unique products not found elsewhere. Circus Casino is a Belgian gaming website operated by the Ardent Group, owner of the Grand Casino de Namur and the Grand Casino de Spa, and licensed by the Belgian Gaming Commission. 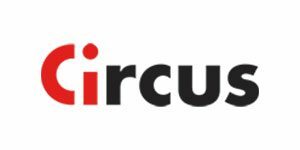 Circus went live in August 2011, with a fresh and modern site offering a wide range of sports bets and over a thousand of the best casino games available online. Exclusive titles of top-notch quality are the differentiating factor which makes this casino unlike any other. An instant €5 is handed over when a new player registers, followed by an offer to double their first deposit up to €250. The Casino’s platform is available whenever and wherever via computers, tablets and smartphones. Gaming catalogue counts over 1,100 products provided by NetEnt, Microgaming, NextGen, BetSoft, Quickspin, Thunderkick, IGT, Playson, iSoftBet, Amatic, Barcrest, WMS, Novomatic, Rival, PariPlay, Bally, Pragmatic Play, Scientific Games, EGT, GAMING1, Fazi, AirDice, HPG and Casino Technology. One can test all games by playing a 10 minute demo with limited credit, after which the game will automatically end. After an account has been created, the player can still play all games in demo mode for as long as they want. The website looks equally attractive and user-friendly when accessed via iOS and Android mobile devices, with 700+ games to play when on the go. This mega-sized slots collection can be filtered by provider and theme, or displayed according to the release date, popularity, minimum or maximum bet. The never-ending list of popular titles includes Book Of Ra, Starburst, Immortal Romance, Foxin’ Wins, The Slotfather, Esqueleto Explosivo, Jurassic World, and many, many more. On top of being able to play big hits and the newest releases from industry leaders, Circus members also get to access rarely featured games and more than a few exclusive ones. This may be the first time some of them will have seen Book Of Bruno and Crystals Of Magic by Fazi, The Return Of Dracula and Amsterdam Red Light District from HPG, or Duck Of Luck and The Great Cabaret by Casino Technology. Karak Forge, developed by GAMING1, is a slot like no other. It features a unique SpinQuest reward system where at the beginning one is given a target, and once they achieve it, they’ll receive a reward. The slot offers players to forge their own bonus by collecting cards and combining them to unlock over 1,000 combinations. Dice Slots, among which Supreme Dice and Take It Or Not, are an alternative to slot machines using dice as game symbols and offering plenty of unique special features. Progressive jackpot games are accounted for but not in a category of their own, meaning players will have to search by name. Roulette, Blackjack and Dice games are grouped in their own dedicated sections. The first contains European, French, American and Deal Or No Deal Roulette, while the second stocks standard and Double Exposure Blackjack variants. Circus provides more dice games than any other online casino we’ve seen and nearly all of them are exclusively available at this gaming site and nowhere else. The choice of Video Poker games is quite limited, provided more as a nice-to-have than a serious attempt to please fans of this particular category. One can play Jacks Or Better, 4 Of A Kind Bonus Poker, All American, Joker Poker and Jolly Poker – that’s about it. Several developers have made their contribution to Circus’ Live Casino. Evolution Gaming has supplied Immersive and Lightning Roulette, a whole range of Blackjack games, Baccarat, Dragon Tiger, Casino Hold ‘Em, Three Card Poker, Ultimate Texas Hold ‘Em, Texas Hold ‘Em Bonus Poker, Dream Catcher, and a number of other impeccable games hosted by live dealers. Funded members can also play EGT’s European Roulette and Fazi’s Automatic Triple Crown Roulette. Unlike other online venues, Circus will not allow you to observe live games if you’ve not previously made a deposit. Players can use a credit card (Visa, MasterCard) via an electronic HiPay wallet to fund their accounts with a minimum of €10 and a maximum of €25,000 per transaction. Alternative deposit options include Skrill, Mister Cash, PaySafeCard, CASHlib and Moneyclic. Bank Transfer and eWallets are offered as cash-out options and the same limits apply as for deposits. Withdrawal request are validated within 24 hours. FAQ section reachable via Terms & Conditions tab offers a good amount of information but is not addressing all questions a new player might have. One can request live assistance by selecting one of the offered issues and then filling in a compact contact form. Shortly after it’s been sent, an agent will respond and do their best to provide the missing information.